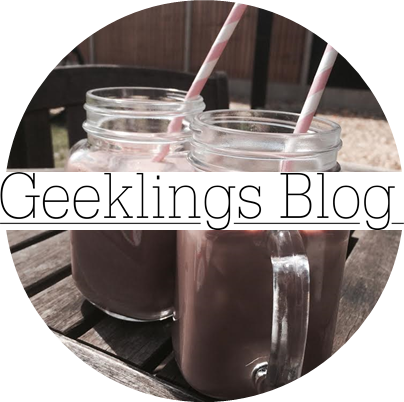 Geeklings Blog x: The Best and Most Delicious Cookies in the World Ever! No Debate! The Best and Most Delicious Cookies in the World Ever! No Debate! When I was on the plane journey to Greece recently (''Gosh, will she ever stop going on about her holiday to Greece!? ''), I read the whole of the YouTuber Tanya Burr's book- called 'Love, Tanya'. Towards the back she has a few of her favourite recipes, and whilst I was looking through I saw a couple that I'd love to make! And today I made one! 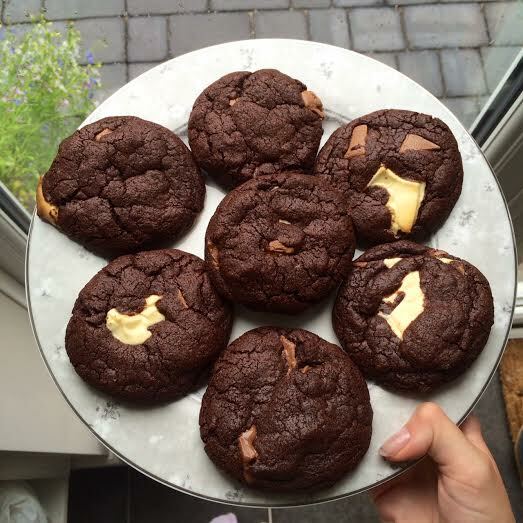 It was the 'Triple Chocolate Cookies' recipe and oh my goodness! By far the best smelling room spray in the world. These things smell up the whole house with their chocolately, gooey goodness! Delish! I always see Tanya, Zoe and Alfie eating these in their vlogs and I'm so jealous every time because I want to reach through the screen and grab it right out of their hands! Not that I'm a violent person but these cookies'll make ya' do anything! Joking, I wouldn't really grab them from your hands, guys. Aaaw, I feel bad now. I'm a good person! Really, I am! Like it says in the recipe, when I took them out, I was scared they weren't done, but in the 30 minutes cooling and resting time they harden inside a little and so don't completely melt when you move them. The added daim bars give it a really lovely crunch and chewiness as well. Aah! Tanya I love you! This recipe is divine! P.s Sorry if I made you really hungry showing you pictures of these cookies, but gosh! Aren't they just gorgeous!